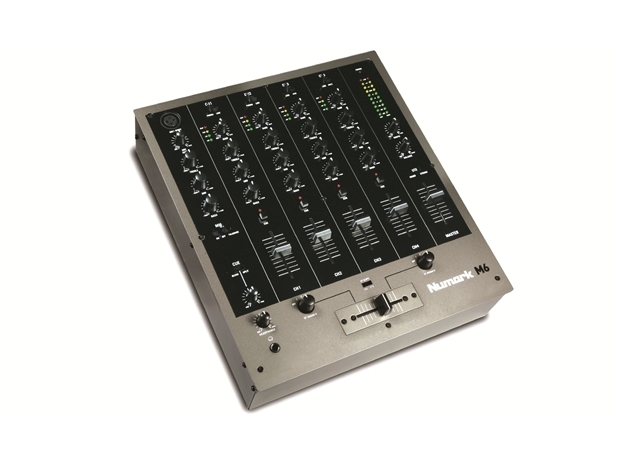 M6USB enables you to step up to a four-channel mixer. This club-style design not only works with any standard audio sources including turntables and CD players, but it also has a USB computer connection. When connected to your Mac or PC, the plug-and-play connection empowers you to mix in audio in from music-player software and record your sets into virtually any audio recording application. You will enjoy a complete range of performance essentials in M6, including three-band EQ and LED metering per channel. M6 has a replaceable crossfader with slope control, and you can assign any channel to either side of the crossfader. You can talk over the mix with M6's dedicated XLR microphone channel and a secondary mic input on channel four. And for the best possible sound, M6 has balanced outputs. Assign any channel to either side of the crossfader. There is currently no stock for this item.